The first Tehran University chancellor after the downfall of the monarchy in Iran and a former political prisoner has spoken about the tortures he witnessed while incarcerated in various prisons in Iran and described the Iranian regime as the godfather of groups such as Islamic State (ISIS). Dr. Mohammad Maleki, 80, who is barred from leaving the country, likened the Islamic State to the ‘Islamic Republic of Iran’ i.e. the Iranian regime. In an article entitled “The regime of Velayat-e faqih, the godfather of Islamic fundamentalism” he explains the horrible torture that he witnessed in the 1980s while incarcerated in the notorious Evin Prison in northern Tehran and Ghezel Hesar Prison in the city of Karaj. 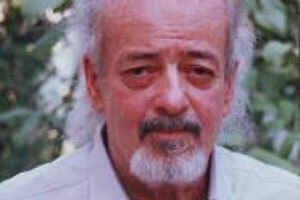 Dr. Maleki said in one such case, in 1983 when has been imprisoned in Section 3 of Ghezel Hesar Prison, adjacent to Section 4 where female prisoners were held, he would hear strange noises, very loud cries, sounds of people being insulted and loud screams. He said as a result of their policy in the region, Iran and Iraq committed these crimes in both countries through Nouri al-Maliki and his collaborators to charge and raid against the people of Iraq and Iranians who are refuge in Iraq. The members and supporters of the main Iranian opposition movement, the People’s Mojahedin Organization of Iran (PMOI/MEK) residing formerly in Camp Ashraf and now in Camp Liberty were massacred by the Iraqi forces of Nouri al-Maliki at the behest of the Iranian regime, although the U.S. government recognized them as Protected Persons based on the Fourth Geneva Convention and had made individual written commitments to provide them with safety and security.